On the Line is a tale as old as time, the love story of Turkey Sub and Hubcap. What happens when boy banders try their hand at acting? Bizarre sound effects, terrible musical performances, and lots and lots of chewing noises. 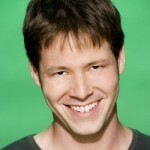 Ike Barinholtz joins us to discuss a movie so shamefully bad that even its most ardent supporters hide themselves with nom de plumes. So tune into one of the 90,000 screens playing it, and while you’re at it, pick up a brand new How Did This Get Made? t-shirt!